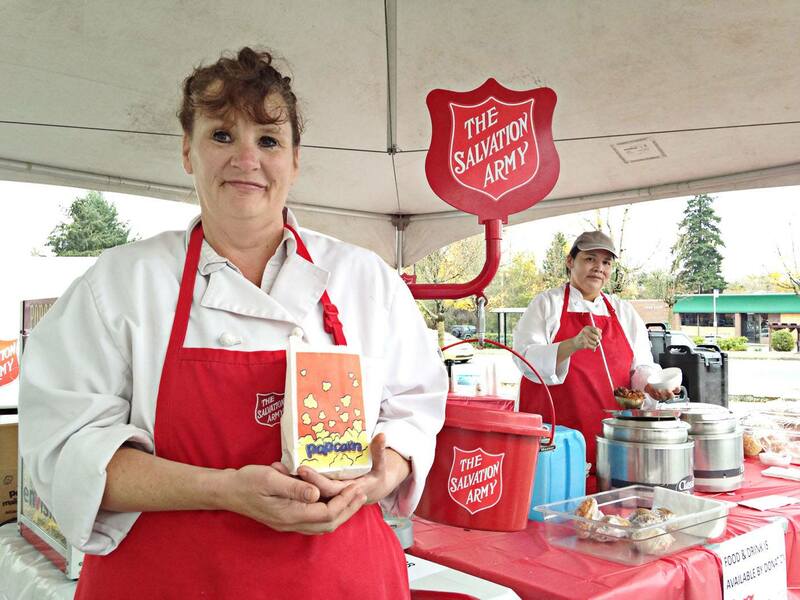 Nov. 27, 2014 12:00 a.m.
Dale Barnes (left) and Rhoda Pete volunteered at the Salvation Army Aldergrove Thrift Shop second anniversary celebrations on Saturday, Nov. 8. In addition to the goodies, there was live entertainment and deals. The shop raises money for the Gateway of Hope. Both volunteers graduated from the Gateway culinary training program and are living at the Langley site as they complete the life skills training program.